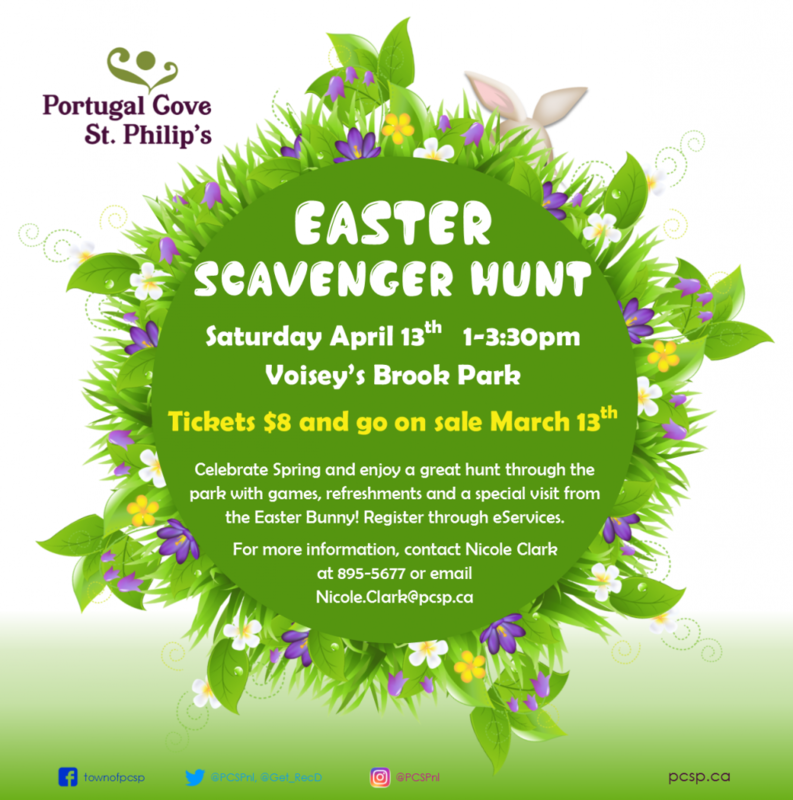 The 2019 Easter Scavenger Hunt is taking place on Saturday, April 13th at Voisey’s Brook Park from 1:00-3:30pm. Tickets on sale now through eServices. Everyone welcome to join in on the fun! Tickets are $8 per person, children under 1 are free.